On the banks of the Unkal lake beside the Nrupatunga Hills in the Hubli-Dharwad city is a 900-year-old temple of Chandramouleshwara. Lord Shiva is the deity of the temple. The temple has marvelous sculptures that attract any art lover. Due to its archeological importance, the temple is preserved under the Archeological Survey of India under the Act 1958 on Ancient Monuments and Archaeological sites. The temple houses two big Shivalingas and two Nandi (the vehicle of Lord Shiva, the bull) statues at the entrance of the temple. 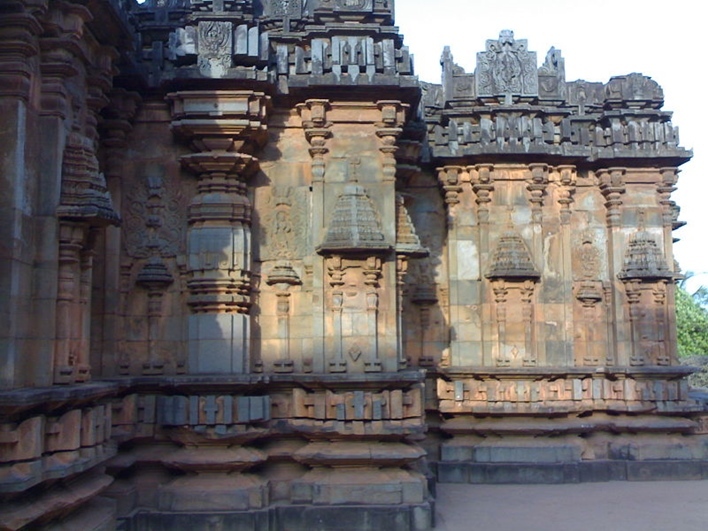 The temple is located 5km from Hubli on the Hubli-Dharwad road. Beside the temple is the scenic and serene location of the Unkal Lake which is an ideal picnic spot for tourists. Chalukyas built this temple in the 11th and 12th century. Fables say that Chalukyans wanted to boast their architectural splendidness and showcase their power and wealth to their enemies. The tales says that the temple was built overnight by a group of anonymous artisans and sculptors. Since the temple was constructed in a night, and as the artisans couldn’t finish the whole work in one night, the temple structure is incomplete. Unlike other temples, the temple doesn’t have a gopura. The temple has unfinished architecture, yet the most marvelous and a spectacular architecture by the Chalukyas. The unfinished temple has many quarters that have left half way done yet a visual delight. The temple is constructed in the Chalukyan era and is clearly inscribed in stones which belong to the 12th century in the Unkal village. The temple is designed in black granites. 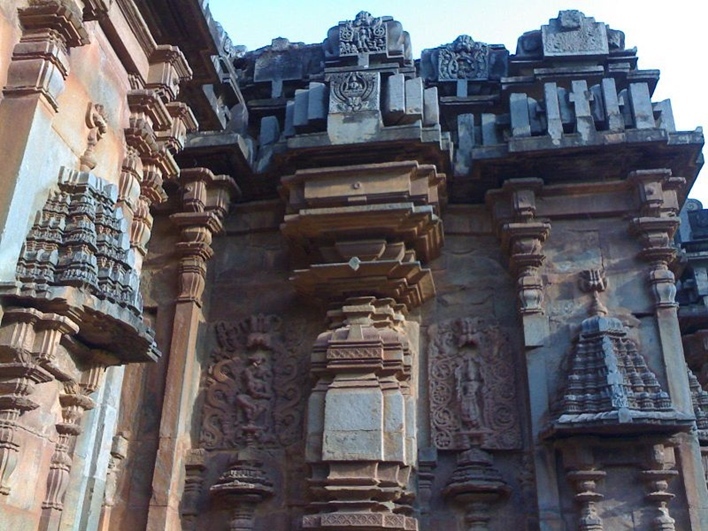 It has alluring sculptures and appealing carving that attracts many art lovers to the temple. Chandramouleshwara temple has two shiva lingas out of that one of them is the ‘Chaturmugha Linga’ which is the four faced Shiva linga, one of the features that make the temple stand out among the various Lord Shiva temples in the state. Another spectacular feature of the temple architecture is the dancing Lord Ganesh and the Jaladhara images on the walls of the temple. Devotees come to worship Lord Shiva here. Mondays being a special day dedicated to Lord Shiva, the temple receives numerous devotees who offer milk, curd, and sweets to the Lord to seek blessings. The sthapathi or the sculptor of the temple could not finish the temple before the day-break, hence the temple was left half done. The wall height is around 20-25 feet out of which half of the temple is made of red stones while the other half is made of green stone, giving the temple an overall remarkable look. The temple is located on a raised place. The chancel of the temple contains four-faced Shiva linga. Unlike any other Lord Shiva temple, the temple has four doors in all the possible directions and a total of 12 doors. The temple is a filled with finished and unfinished artistic carvings which are indeed an exemplary work of art. The walls and the pillars adorn the designs of the Chalukyan architecture. The designs and the intricate carvings are attention seekers. The temple is on the Hubli-Dharwad twin city road. From Bangalore, there are many direct KSRTC buses that can take tourists to Hubli. From Hubli, Unkal is hardly 5 km. Many cabs and auto rickshaws can be hired from Hubli to Unkal to visit the temple. Bangalore airport is the nearest airport to Hubli. From airport tourists, can hire a taxi or even board buses organized by Karnataka government to reach Hubli. From Hubli to Unkal is easily reachable. Hubli is the nearest railway station to Unkal. Hubli being the southern center for Railways, numerous stations are connected to Hubli by Rail. From Hubli, tourists can opt for auto, cab taxi or buses to Unkal.